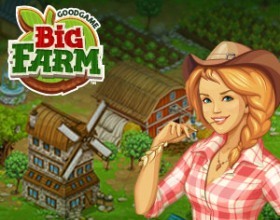 In this tower defense game you build not only towers but also farms to earn money. Your aim is to protect your farmers and kill everyone who's trying to harm your kingdom. Upgrade and build new structures using earned money. 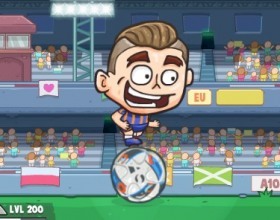 Your task is to turn your player from regular neighborhood football player into world level super star. Earn money and upgrade your player. All you need to do is click on the upgrade buttons and everything will happen. 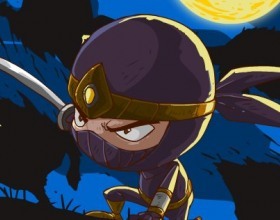 Control your warrior and kill all enemies to win the game. Follow the tutorial at the beginning to see how control the game. The fighting works more like turn based battle not action game. 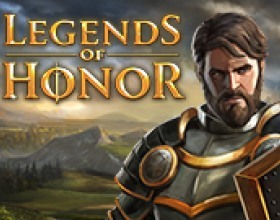 Legends of Honor is a free-to-play building and strategy MMO browser game. Players collect resources, constantly upgrade their fortresses, and expand their rule in a medieval setting. 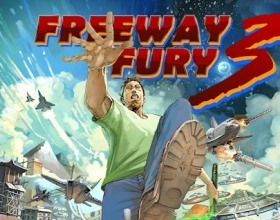 The game’s key components include fighting for the honor of your own faction and exploring the interactive world map, where your heroes are able to move about freely, fight in tactical battles, and search for treasure. 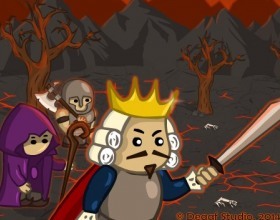 In this flash game you have to help your hero to protect his kingdom from all enemies. Ride around, collect treasures, fight against enemies, buy new weapons and expand your army and do many other things. In this nicely made sniper game your task is to read mission briefings and complete all missions. Earn money for each successful mission and buy cool upgrades for your soldiers. Use mouse to aim and fire. R to reload. Drive your car and them jump from one vehicle to another right on the highway. There's a lot of objects and items you can pick up or get points by crashing them. Use arrows to drive. Press Z to go into jump mode. Conduct trade and get your economy rolling. 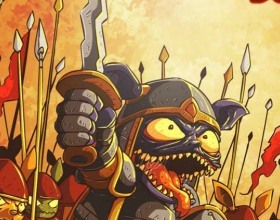 Build your city into a mighty metropolis and defend it against orcs, goblins and trolls! Create your account, make friends inside the game and enjoy every aspect what online multi-player game can bring. You have to help five brave heroes on their adventure of treasure seeking. You have to fight against various creatures. To gain power you'll have to match gems of the same color. Look which color do you need to fight against current enemy. 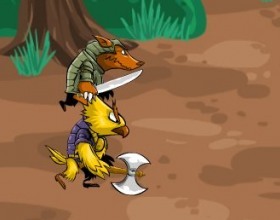 Your task is to stop evil forces that are invading into the lands of the Calabash Bros. Build defense towers to protect your land. Each tower has different powers. Also you can use few super powers. You'll see all of that by playing this game. Stop attacking enemies in this line defense game. Use all available types of soldiers and additional equipment to kill them all. 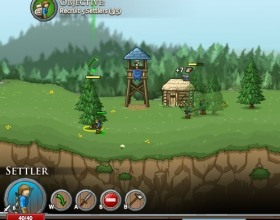 Control your soldiers and send them to take control over enemies. 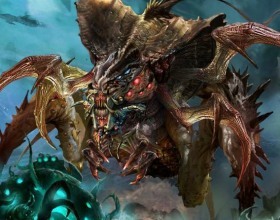 Send them from point to point and grow number of them while they are inside the base. 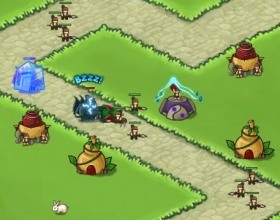 Use mouse to drag your troops from base to base. 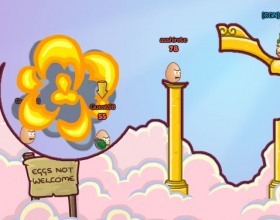 GoodGame has another brilliant multiplayer strategy for us. 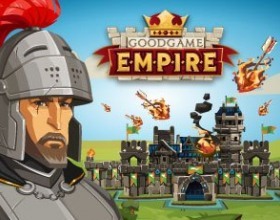 This time it's the follow up for Zynga game Empires & Allies. 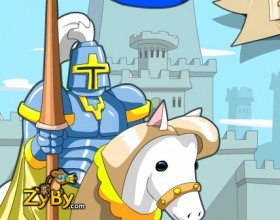 Your task is to build your own castle, create a powerful army and fight against other players around the world. Use Mouse to play this game. Follow game instructions to learn everything about it. You'll say - this is just another farming game! I say - no, it's not! There are more features than any other farming game has. Just reach required level to see that. Grow some potatoes, earn money and recruit your farming business. 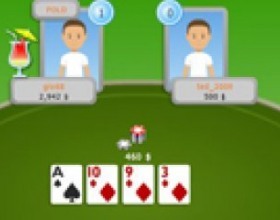 This multiplayer poker game combines all best characteristics of Texas Hold'em poker. Also you can customize avatars with a fresh and modern style. Raise, bet, call, fold, bluff - use all you can to get some money. Create an account to be able to continue the game later and save your score. Build your own kingdom, upgrade all required buildings and then go to the map and conquer lands to expand your territory. Upgrade your army all the time. 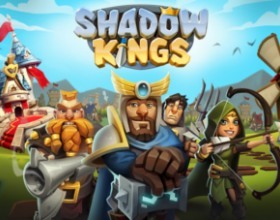 Create resources, earn skill points and do many other things in this strategy game. 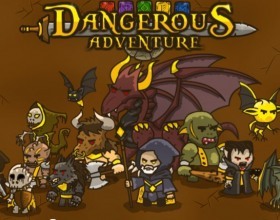 Fight against different mystical creatures and take control over entire land. 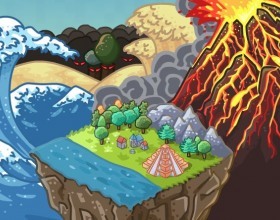 Stage by stage earn new items, equipments, spells and many other powerful skills to beat your opponents. Use Mouse to control the game. 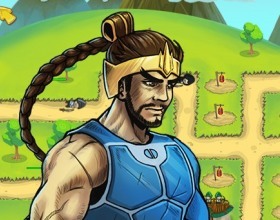 Your aim is to create entire civilization from nothing in this free online game. 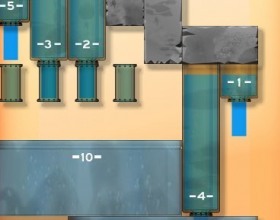 You can build structures on each tile. Read your objectives and try to reach them as fast as possible for a better score. Crash all opponents and become the true champion in Total Wreckage! 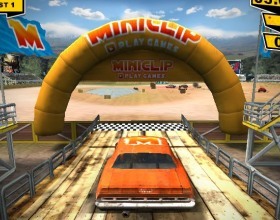 Your task is to eliminate the minimal number of cars to win the race. Use your turbo boost (press Z) to increase damage. Use arrows to drive. Sometimes you'll have to use handbrake for incredible turns (press X). Your mission is to develop and recruit your turf. Defend it against invading enemies. Summon your heroes to be powerful enough to fight against all of them and beat the boss. Use mouse to control the game. The war has moved to the waters and your task is to sit in your boat and shoot everyone and everything that is trying to attack you. Use mouse to aim and fire. Press X to change weapon. Press Space to use airstrike. First of all, you have to sign up for armor games account (Local game didn't work for me). Your task is to save the princesses from the evil enemy. But first of all you must build your powerful economy and then conquer your enemy. The task in this unusual game is to keep your team alive. Else you have to destroy all enemy turrets that are attacking you on your way. 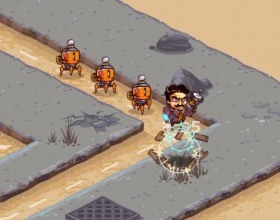 Just click on the direction arrows on the path to control your troops. 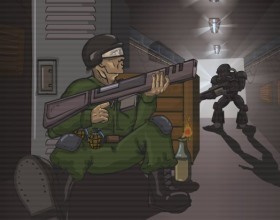 In a computer games industry the term tactical usually refers to army, war or shooting game types. 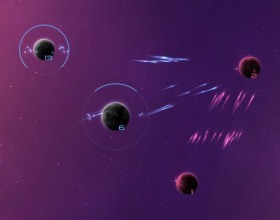 The whole mission in such games requires certain planning skills to proceed successfully. 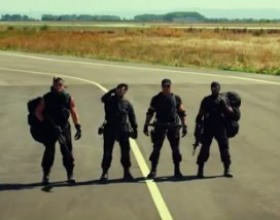 Tactical games combine elements of strategies and role-playing games (RPG). Most of them are very complicated and playing them takes a lot of time. 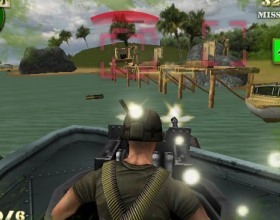 Tactical games can either emphasize the importance of exploring the enemy’s territories or planning the tactics of the battles. The gamer can choose the most suitable characters (warriors, magicians, etc.) from different historical periods (historical games) as well as enemies (humans, aliens, monsters, etc.). The gamer can train and educate its hero during the game. 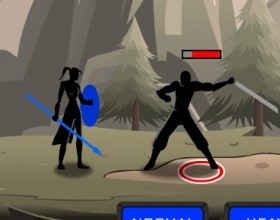 Normally the hero receives extra points if the number of battles he takes part in is increasing which influence the total score. Also, there many game options which enable the player to choose landscape, weather conditions, etc. 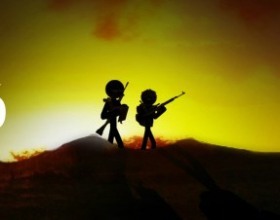 Tactical games can be played alone, or within a team through extranets and the Internet. Gamers can form alliances, organize various tournaments; create common military forces, etc. 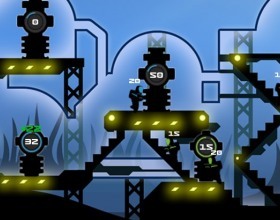 Sometimes to proceed to the next game level the player has to fulfill specific conditions (to win all the enemies or only the strongest ones). The games may sometimes involve the presence of spectators. One of the most popular subgenres of tactical games are simulation tactical games. Apart from tactics the gamer often has to perform various actions like searching for treasure (adventurous games), travelling long distances, spying, etc. Time restrictions are seldom used as tactics demand a lot of time. Managing the everyday activities of subordinates, controlling their actions, giving instructions and orders are among the main tasks of the gamer. A process of tactical games playing trains memory, abilities for planning and logical thinking. A great deal of online games requires a well-prepared tactics to conduct a specific war operation. One can develop tactical plans for land, water and air military missions. Practically every military game should have a good tactical pattern of actions to succeed. Tactical games develop the grasp of a current situation and stimulates the quick search of the solutions of the problems that have emerged.